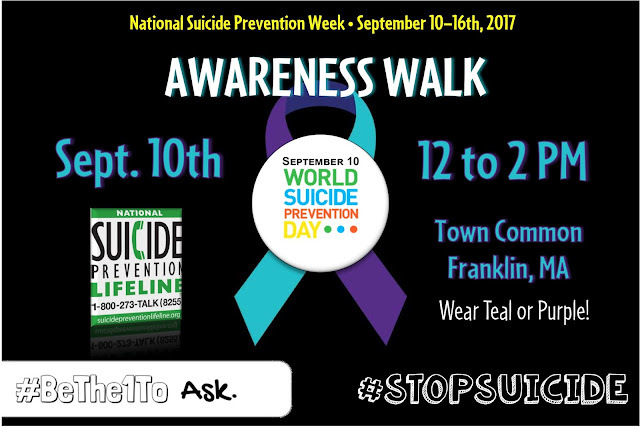 I wanted to send you this little flyer I made up for an informal event I'm trying to get started to bring awareness to World Suicide Prevention Day, which is Sunday 9/10/17. I am hoping to build a walk of greater magnitude for next year. Thanks for sharing!